Summer is ending, and it’s time to study up! 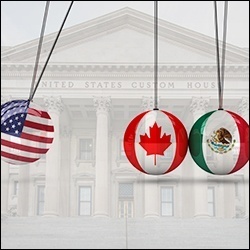 Between CBP’s ACE updates, NAFTA re-negotiations, and anti-dumping and countervailing duties investigations – a lot of updates are expected in August. So sharpen your pencils, organize a new binder, and tune in to Global Trade Academy’s webinar next week with international trade lawyer Robin Grover. Join us as we present on updates to global trade in these areas, as well as their impact on the topics and materials budding customs brokers should be familiar with in advance of the upcoming brokers exam in October. Register today! Robin W. Grover is an international trade lawyer with over 30 years experience handling all aspects of export-import issues. With an office in Washington, D.C., Robin is a member of the U.S. Court of International Trade and has represented clients before the U.S. Customs Service, Bureau of Industry and Security (formerly the Bureau of Export Administration), Office of Foreign Assets Control, Directorate of Defense Trade Controls, Office of the U.S. Trade Representative, U.S. International Trade Commission and Census Bureau. Robin is a consultant and instructor for both Amber Road’s Advisory services and Amber Road’s Global trade Academy. He is also a licensed customs broker. A graduate of the University of Virginia School of Law and Dickinson College, he is a member of Phi Beta Kappa and is also the World Champion of The History Channel, where he won a then-record shattering $ 263,000, at the time the world record for winnings on a cable television game show. He has taught courses on Exporting, Importing, HTS Classification, Letters of Credit, International Transportation and Logistics and prepared many for the customs broker license exam. Robin lives in Alexandria, Virginia where he dabbles at running marathons, biking and collecting Revolutionary War militaria and Medieval European artifacts.